Antique Gold Jewelry - Invest in Gold You Can Wear! Thinking of Investing in Antique Gold Jewelry, Antique Wedding & Engagements Rings, 20th Century Jewelry, or Pearls that roar quality? A gold investment you can wear? You are not alone, many people around the world are returning to classic Jewelry because it is beautiful and luxurious to wear and because buying gold in the form of jewelry is a gold investment. Besides the appreciating value of the gold in Antique Jewelry & 20th Century Jewellery, appraising jewelry with history also considers other important stores of value, like craftsmanship, rarity and age. Antique Jewelry & 20th Century gold jewelry is physical gold investment. What other form of investment has a higher store of value than the price of gold today? The property that describes "atavism" can often catapult the price of classic old jewelry above the price of gold. Time to look inside the Antique Jewelry Box, or the Jewelry Armoire and take a good hard look at Antique Gold Jewelry from a buying gold point of view. You do not have to be an economist or have a business degree. Most jewelry dealers, antique jewelry investors and collectors are not economists either. What good jewelry investors all seem to have in common, apart from the skill of knowing how to use a Jeweler's loupe is the ability to sniff out a bargain and KNOWLEDGE OF THE SUBJECT. How Much Is My Jewelry Worth? This is one of the most popular questions we receive on Antique Jewelry Investor Help Central. If you would like to use our online Jewelry Valuation service please Click here! Hallmarks on Jewelry often will increase the price as they authenticate the piece. Determining hallmarks on Antique Gold jewelry granted isn't easy for anyone, experts included! Often the jewelry marks have worn away over the years. Have A Gold Hallmark Question? Ask the Hallmark Guru Here! A jewelers loupe is a magnifying glass with 10x magnification and is indispensable for deciphering hallmarks on estate jewelry. Once you have bought one the next step is looking at the mark under the loupe and observing what the Jewelers loupe finds. Not what the owner or would-be investor wishes or hopes it is. Click Here for an Introduction To Antique Jewelry Hallmarks. Hallmarked gold jewelry, for example, with United Kingdom Hallmarks (UKHM) or British Hallmarks will be found only on Jewelry originating from Britain. Find Info on Hallmarking in Great Britain Here. The Antique Jewelry Investor website is a Jewelry Resource containing a wealth of information of the subject that's been hidden for ages on how to invest safely in Antique Gold Jewelry, Premier Jewelry and Natural Pearls in down-to-earth language. The old club of Antique Jewelry dealers have known all along, that Antique Gold Jewelry is a gem of an investment! Antique Gold Jewelry has been around for thousands of years, it's never gone out of fashion. It never dates or fades. Just ask the Ancient Egyptians! Gold's long performance over time is no secret - it's unmatched. You just have to look at the Ancient Egyptian Jewelry and the gold ornaments found in Tutankhamen's burial chamber. Gold is not just lightly dusted on the pages of Egyptian & Greek mythology and history, but it's smothered in the stuff. And they still keep finding more gold in Egypt. Recent, new discoveries in the Karnak temple near Luxor have found nine cartouches made of solid gold. (courtesy of the Ancient Egypt Magazine, 'Ancient Egypt, The History, People and Culture of the Nile Valley). 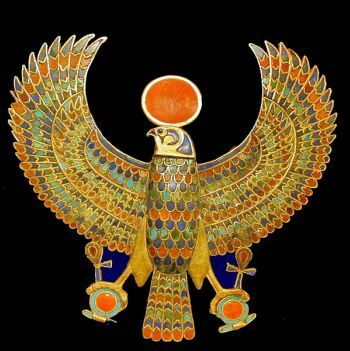 From the antiquities of Ancient Egypt, the Antique Jewelry of India, to the sculptured designs of the Art Nouveau Jewelry of la belle époque or "the beautiful era". Not sure whether to collect antique jewelry or modern gold jewelry? These facts about gold-mining should help you to decide. And of all the influences which transformed antique gold jewelry in the nineteenth century, it was the constellation of Gold Work in antique filigree gold jewelry, that was one of the most influential. 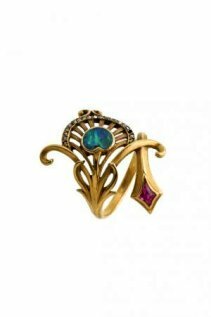 The introduction of new forming techniques involving new, innovative Gold Work techniques in the Late Georgian, and Antique Victorian jewelry changed the design of jewelry forever. Powerful economic forces are shifting the global balance of trade. Soaring commodity prices, a plummeting dollar, the housing crisis and U.S. recession, a billion new Chinese and Indian consumers are a few of the reasons why Gold in India and China is glittering like never before. Gold Mining that produces brand-spanking new gold jewelry can be a dirty industry. Antique Gold jewelry on the other hand, causes little or no negative impact on our precious environment. Not being susceptible to the fluctuations of the stocks and shares or even in the currency market, gold jewelry does not lose its value. Victor Epand states that the current hotpot in jewelry investing is gold jewelry. Based on recent global reports, he says, that every year there is a rise of approximately 19% in the demand for gold jewelry. This is a record breaking amount and it has been predicted to rise more in the coming years. Antique Jewelry is a lot easier to store than gold bars. Take a one-hundred ounce bar of silver, taking up roughly 3" by 6" by 1 1/4" or 22.5 square inches. This bar is worth about $1530 at spot price (August 2008). How many bars and how much space would you have needed to satisfy a $100,000 purchase? You would need about 65 100 troy ounce bars and slightly over 10 cubic feet to store $100,000 in silver bars at today spot price. Antique Jewelry's value increases with time. In US, during 2006, the sale of gold jewelry reached 44 billion dollars. Not only have gold prices skyrocketed recently, but the price of silver and platinum have as well. Here's the reason why. Gold prices are tied to the current economic impact that the sub-prime mortgage fiasco is having on the US economy. With the downward pressure on the value of the US dollar in world markets, comes an upward pressure on gold prices. The reason is because most world currencies are based on the gold standard. When the value of the US Dollar goes down, it costs more dollars to buy an ounce of gold on the world markets, and the US price of gold goes up. Way up. Over 300%. The higher price of precious metals is anticipated to last for the foreseeable future. The increase in the demand for buying gold online is directly in proportion to the growing insecurity the global community feel towards the current world monetary system. Many people aren't aware that in 1971, the central system of organized world finance collapsed. Yes, that's right, world finance essentially crashed back in 1971. The Bretton Woods Agreement, signed in 1944 set in place an obligation for each country to adopt a monetary policy that maintained the exchange rate of its currency within a fixed value in terms of gold. It was developed at the United Nations Monetary and Financial Conference held in Bretton Woods, New Hampshire, from July 1 to July 22, 1944. This collapse of 1971, was a result of the United States' suspension of convertibility from dollars to gold. This meant that under the gold standard, bank-notes were payable in gold coins. Until the collapse, the Bretton Woods system was a very effective means in controlling conflict and in achieving common monetary standards for the leading states that had created it. One of the reasons people are returning to antique gold jewelry is that since 1971 the world monetary system has had nothing substantial backing it. The idea that we agree to believe the dollar has value, is about the only thing still holding it together.